An experienced intellectual property lawyer, Jeff focuses his practice on patent law and intellectual property litigation, licensing, counseling and procurement. 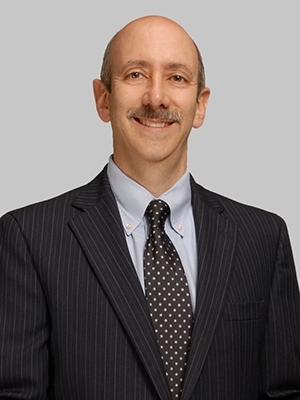 He has extensive experience litigating patent infringement cases involving materials science, mechanical, electrical and software solutions as well as trademark and trade dress infringement, trade secret, domain name and contract disputes. Jeff has also filed and assisted clients with proceedings at the USPTO in Inter Partes Reviews (IPRs) and Reexaminations as well as Trademark Cancellation proceedings, including numerous such IPRs involving medical devices. Jeff also counsels clients on intellectual property issues that arise under government contracts and related export controls and ITAR, as well as on related antitrust and FDA laws. His experience in technology and patent procurement includes mechanical systems, medical devices, electrical systems and software and in particular as these areas relate to life sciences. Verato, Inc. amicus brief in Meso Scale Diagnostics, LLC v. Roche Diagnostics GmbH et al., No. 15-510 (U.S. 2015). Medtronic Inc. amicus brief in Bilski et al. v. Doll, No. 08-964, (U.S. 2009). NuVasive, Inc. v. Medtronic, Inc., Nos. 2015-1672, -1673, -1674, -1712, and -1670 (Fed. Cir. 2015). LifeScan Scotland, Ltd. v. Pharmatech Solutions, Inc., No. 15-1149 (Fed. Cir. 2015). Digital Control Inc. et. al v. The Charles Machine Works, No. 05-1128 (Fed. Cir. 2005). CollegeNET, Inc. v. ApplyYourself, Inc., Nos. 04-1202, 1222, 1251 (Fed. Cir. 2004). NOMOS Corp. v. Zmed, Inc., Nos. 03-1141, 1183 (Fed. Cir. 2003). Karlin Technology Inc., et al v. Surgical Dynamics, Inc., No. 97-1479 (Fed. Cir. 1998). Moll v. Northern Telecom Inc., No. 96-1259 (Fed. Cir. 1996). Rothschild Patent Imaging LLC v. Swann Communications USA Inc., 2:17-cv-05015 (C.D. CAL 2018). Served as lead counsel representing defendant and obtained early and very favorable dismissal with prejudice of this lawsuit. IMO Certain High-Potency Sweeteners, Processes for Making Same, and Products Containing Same, Investigation No. 337-TA-1030 (ITC 2017). Represented Respondent Vitasweet and obtained a dismissal/withdrawal of the Complaint due to issues regarding the invalidity of the asserted patent relating to a process for manufacturing acesulfame potassium. IMO Certain Footwear Products, 337-TA-936 (ITC 2015). As lead counsel representing Respondent Highline United LLC obtained a ruling that all accused shoes being sold by client were not infringing and that Converse lacked any common law or registered TM rights. Pantaurus LLC v. Neopost USA Inc., 2:16-cv-00117 (E.D. TX 2016). Served as lead counsel representing defendant and obtained early and favorable settlement leading to early dismissal. Trover Group, Inc. et al v. Vicon Industries, Inc., 2:14-cv-00872 (E.D. TX 2014). Served as lead counsel representing defendant in obtaining favorable settlement leading to early dismissal. The Sliding Door Co. v. KLS Doors, LLC et al., No. EDCV 13-00196-JGB-DTB (C.D. Cal. 2014). Represented defendants obtaining a favorable claim construction ruling from the court, resulting in a very favorable settlement for the client. Nano-Second Technology Co. Ltd. v. Dynaflex Int’l et al., No. 2:10-cv-09176 (C.D. Cal. 2013). Represented defendants obtaining several favorable summary judgment rulings leading to a very favorable settlement for clients. Digitech Info. Sys. v. BMW Auto Leasing, L.L.C. et al,6:10-cv-1373 (M.D. Fla. 2012). Represented BMW entities obtaining summary judgment of invalidity. Medtronic Sofamor Danek, USA, Inc. et al v. NuVasive, Inc., 3:08-cv-1512 (S.D. Cal. 2011). Represented Medtronic-related entities winning $101.2 million jury verdict. Munters Corp. v. NovelAire Technologies, 1:09-cv-2666 (N.D. Ga. 2009). Fastenetix, LLC v. Medtronic Sofamor Danek, Inc. et al., C.A. No. 06-2070 (SJC) (D. NJ 2006). Skyline Corp. v. Northwood Manufacturing, Inc., CV 03-5581 (N.D. Cal. 2003). ServiceWare Technologies, Inc. v. Primus Knowledge Solutions, No. 03-1467 (W.D. Pa. 2003). Arista Records, Inc., et al. v. Sakfield Holding Co. S.L., et al., CV-03-1474 (D.D.C. 2003). Akamai Technologies, Inc. v. Cable & Wireless Internet Services, Inc., No. 3:03CV75 (E.D. VA 2003). Boston Scientific Corp. v. Artes Medical U.S.A., No. 02-12305 (D. Mass 2003). Universal Recovery Systems, Inc. v. Advertech Limited, Civil Action No. 02-3714 (D. Minn., 2003). Artes Medical U.S.A., Inc. v. Biosphere Medical, Inc., CV-01-01251 (C.D.Cal. 2001). Weekend Warrior Trailers, Inc. v. Skyline Corp., CV-01-08708 (C.D. Cal. 2002). XS Inc. v. Excess Ag, Inc., No. 00-950 (E.D. Va. 2000). Sofamor Danek Holdings, Inc. v. U.S. Surgical Corp., No. 98-2369 (W.D. Tenn. 1998). Moll v. Northern Telecom Inc., No. 94-5451 (E.D. Pa. 1996). Surgical Dynamics, Inc. v. Karlin Technology, Inc., et al., No. CV95-0258 (C.D. Cal. 1997). Medtronic, Inc. v. NuVasive, Inc., IPR 2013-00506 (PTAB 2015). Represented Medtronic as lead counsel and successfully obtained a ruling that all challenged claims of the patent at issue were invalid. Medtronic, Inc. v. NuVasive, Inc., IPR 2013-00507 and 00508 (PTAB 2015). Represented Medtronic as lead counsel and successfully obtained a ruling that all but one of the challenged claims of the patent at issue were invalid. Prior to his legal career, Jeff Schwartz was on active duty in the U.S. Army. He retired from the U.S. Army Reserves as a Lieutenant Colonel. He also worked as a senior project engineer for Hercules Aerospace and as an engineering manager with the Department of the Navy. Jeff Schwartz was a clerk to Senior Judge Daniel M. Friedman at the U.S. Court of Appeals for the Federal Circuit. Jeff served as associate editor of the Georgetown University Law Center’s Law Journal. Jeff serves as an adjunct professor at the College of William & Mary Law School and prior to that at the University of Maryland School of Law teaching Patent Law and Patent Litigation.